Nusa Lembongan is an island, there is no bridge and no airport is visible, so unless you can get access to helicopters and landing pads, the right answer is the fastboat to get to Nusa Lembongan. There are Lembongan fast boats and slow boats, glossy ships and rusty boats, expensive boats and cheap boats. All this is just for a jaunt across the water! 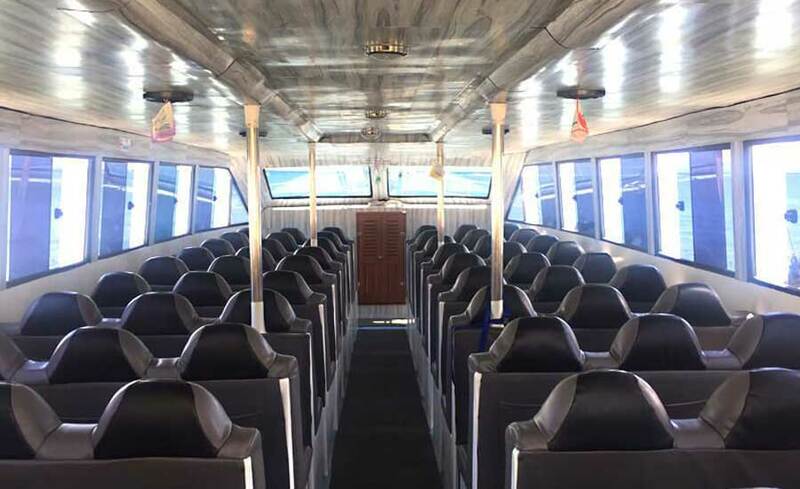 Fast Boat Nusa Lembongan from Sanur Bali by Arthamas Express is one of the best way and fastest boat to Nusa Lembongan Island crossing by sea transportation (speedboat / fast cruise) that handled by staffs who are experts in their field especially in cruise service and offer daily boat transfer. 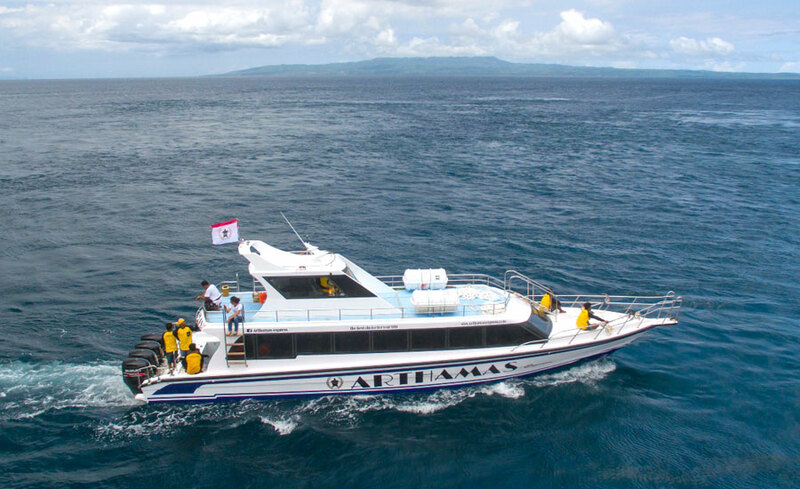 The fast boats depart from Sanur harbor and landed at Jungut Batu Nusa Lembongan, total crossing time is about 35 minutes. 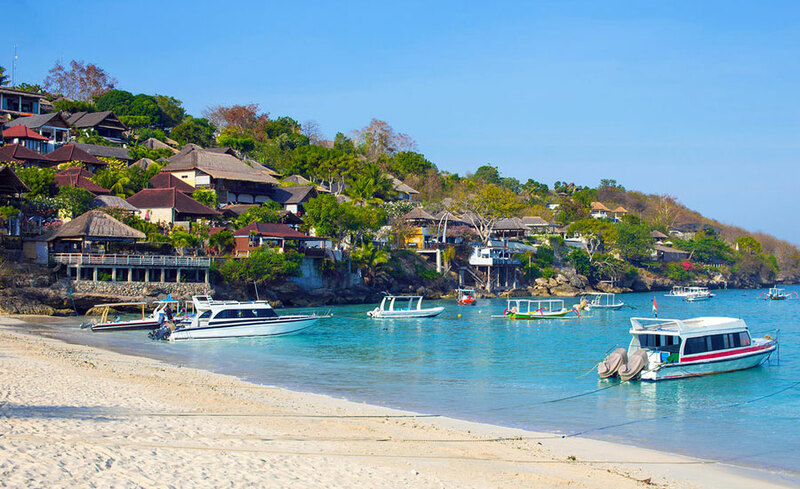 Nusa Lembongan Island offers more than 14 dive sites that you can do water activities as like snorkeling or diving. 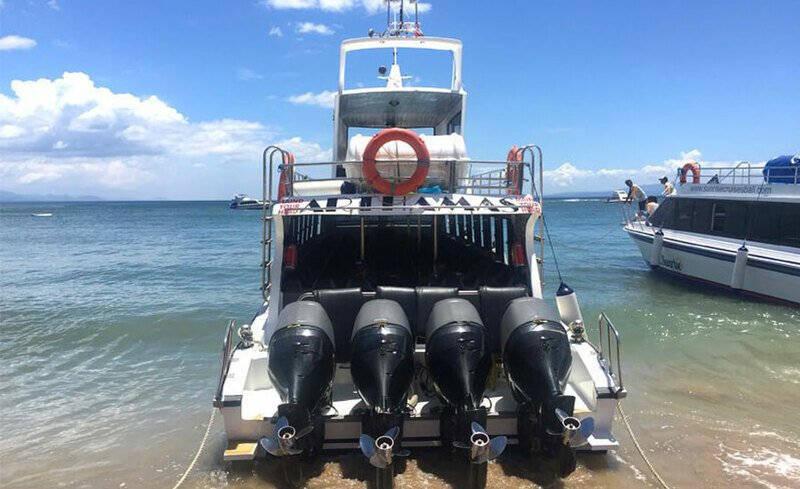 We offer you the Nusa Lembongan fast boat transfers with three times schedule a day, depart from Sanur and offer complete transportation included pickup service to your hotel in Bali and also transportation in Lembongan Island. 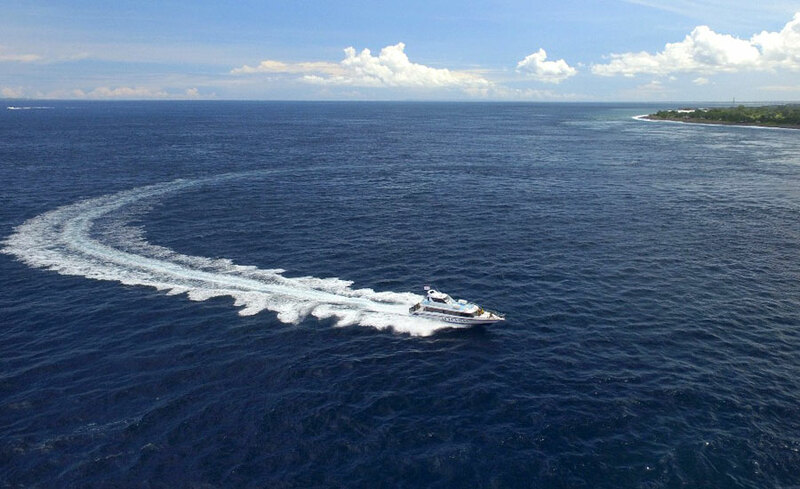 Choose your best speedboat to Lembongan and you will reach Nusa Lembongan Island! We have another option if you would like to do Full Day Nusa Lembongan Tour for your holiday in Lembongan Island. Motorized with 4 engines 250 horse power rated under International Maritime. Code of safety, 16,25 meters length and 3,50 meters width. 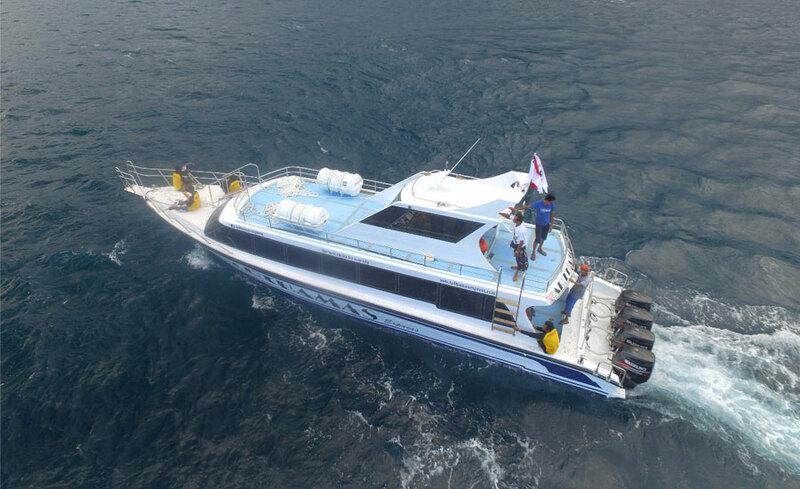 Boat capacity for 80 passengers completed with life jacket for your safety and also with insurance.